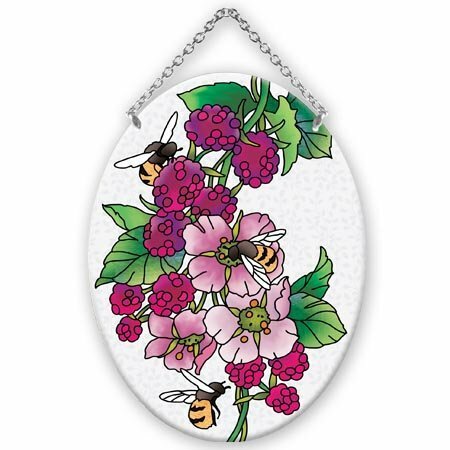 Bees & Raspberries stained glass sun catcher by Joan Baker Designs. Approx. 5″ x 7″.